Earlier this week Bing announced that they were rolling out some great new features which integrate Facebook into their search results. These features influence search results, show you your Facebook friends “liked” pages, provide for Facebook interactions with your friends while searching. You can read more about the features here, “Bing and Facebook Launch New Integration Revolutionizing Search“. 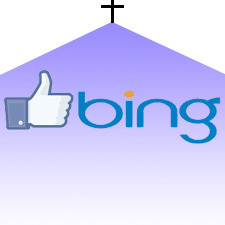 Church Marketing Online is dedicated helping churches reach the people in their communities through the Internet. We do this by explaining search engine marketing for churches, discussing social media and how it can be used by churches, and facilitating conversations about other online church marketing ideas. The CMO blog is here to educate, discuss Internet evangelism and outreach, and offer church growth resources. 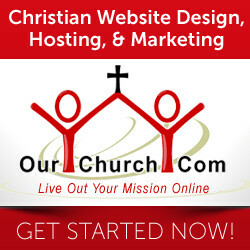 Church Marketing Online is a service of OurChurch.Com | Copyright ©2016-2017 by OurChurch.Com. All rights reserved.